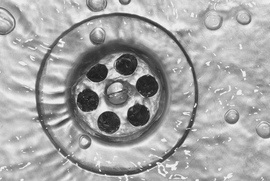 Common sewer problems include clogged drains, backed up drains, and foul odors. A professional will charge between $150 to $175 to clear a drain that is backed up; the DIY price is around $55. Professional costs associated with odor problems generally run $100 to $150; the DIY cost is roughly $20 (for drain cleaner). If you need a drain line installed, you will generally pay between $450 and $600 per line.